That I walked out of Grand Guignol with blood spattered across my face tells you everything. It happened while a woman was convulsing in terrified agony as her eyeballs were gouged out, meaning that I, sat on the front row got a sprinkling of the red stuff. Naturally I was pleased as punch; for the Grand Guignol isn't a place you attend to appreciate the subtleties of the human condition, to revel in high minded intellectualism or to appreciate aesthetic beauty. No, it's where you tremble as you wade hip deep through ichorous gore! Thrill to a cacophonous symphony of screams!! G-g-g-ghoulishly grimace at monstrous actions conceived beyond the realm of sanity!!! Huh.. I went a bit Vincent Price for a moment there. Well, with Halloween just around the corner it's difficult to resist a touch of the macabre slipping in, something encouraged - nay - demanded - at Grand Guignol, a play as ghoulish as it is hilarious, demented as it is sharp and crammed to bursting point with gooey horrors of all kinds. 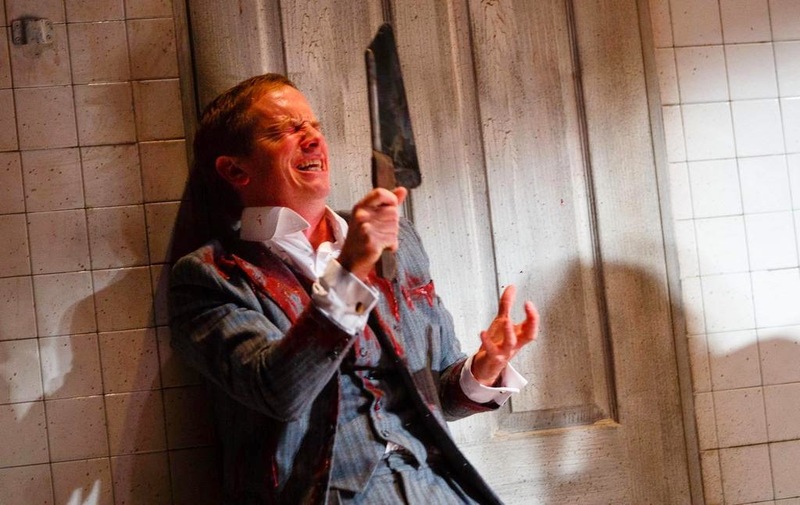 Set in early 20th century Montmartre, the play takes place behind the scenes of Le Théâtre du Grand-Guignol, a venue that, more than 50 years after it's closure remains the byword for over-the-top blood n' guts. Our cast of characters are the real-life talent behind the theatrical phenomenon; Max Maurey (Andy Williams), the pragmatic and pugnacious owner of the establishment; Henri (Robert Portal), male lead and colossal ham; Maxa (Emily Raymond), female lead and "the world's most assassinated woman"; Ratineau (Paul Chequer), gore designer and Tom Savini of his day and; Andre De Lord (Jonathan Broadbent), the only playwright an imagination twisted enough to concoct these diabolical phantasmagoria. Tossed into their world of plaster limbs, rubber intestines and buckets of (stage) blood is nervy psychologist Dr Alfred Binet (Matthew Pearson). He's in charge of an asylum that's exploring the limits of the human condition and seeks to understand De Lord's mind; to unravel what is about his past that allows him to summon up such theatrical devilry. This all comes in combination with the mysterious murders of the 'Monster of Montmartre', who prowls the streets disembowelling his victims and carving pentagrams into their lifeless corpses. 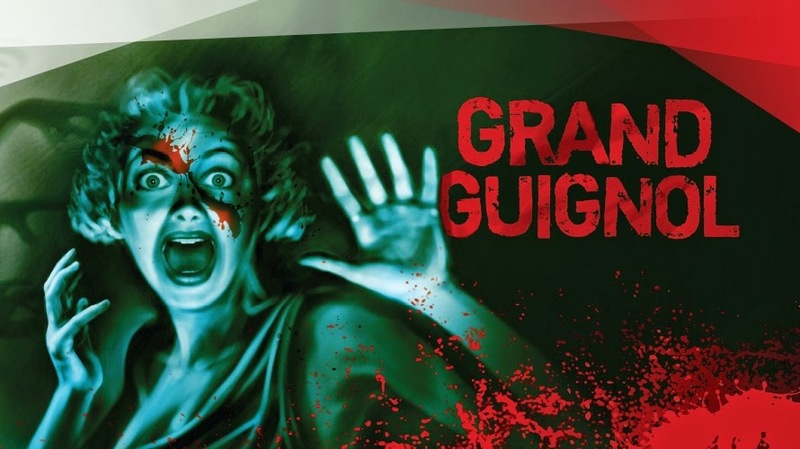 Given the grim subject matter and warped characters, it's perhaps surprising that above all else, Grand Guignol is an extremely lighthearted farce. These characters are all extremely broad types, their personalities firmly cranked up to 11. So Maxa isn't just a talented horror actor, she's a twisted gorehound increasingly unable to discern the theatre from reality. Henri isn't just a lead actor, he's an egomaniacal, impossibly verbose blowhard. De Lord isn't some talented playwright, he's haunted by the ghost of Edgar Allen Poe and fuelled by barely suppressed childhood trauma. The extremely talented cast navigate this material like they're born to play these characters, every performance perfectly pitched for maximise the comedy potential of the material. I particularly enjoyed every single perfectly enunciated line recited by Robert Portal, whose face pushes the limits of expressiveness. I'd read that this play had been performed as a straight horror a couple of years ago, something practically impossible to imagine after seeing this. To spoil these gags would be a sin, so I'll refrain from listing all my favourites, but one stab at theatre critics in particular brought the house down. Fortunately, Grand Guignol being so damn funny doesn't preclude it from also being horrifying. What you quickly realise is that stage violence and gore has a different quality to that of cinema or television. Seeing a person have their throat slashed before your very eyes, blood oozing from their wounds as they twitch their last mere meters away is much more intense an experience that anything you'd see in over the separation of a screen; the harsh stage lighting casting gruesome shadows across their wounds. The sensible, logical part of you is telling you that it's obviously fake, that you're looking at a rubber prop with a pipe in it, but some primal, caveman part of the brain sees the sticky crimson blood and reacts instinctively, sending unavoidable tingles of terror reverberating around your body. It's this sensation, laughing at the gory audacity that makes the comedy feel so alive. Best of all, this show does a decent job of roughly emulates the original Grand Guignol. These characters were all real people, and De Lord really did work with a psychologist, named Binet to maximise the horror potential of his plays. Notably, all the miniature vignettes we see are actually bitesize summaries of De Lord's work, making this both entertainment and theatrical history lesson all in one. So I deeply dug this; a fantastic production that's perfectly timed for Halloween. As the sun sinks further over the horizon and temperatures drop, get yourself down to Southwark and suffer some real chills! Highly recommended. 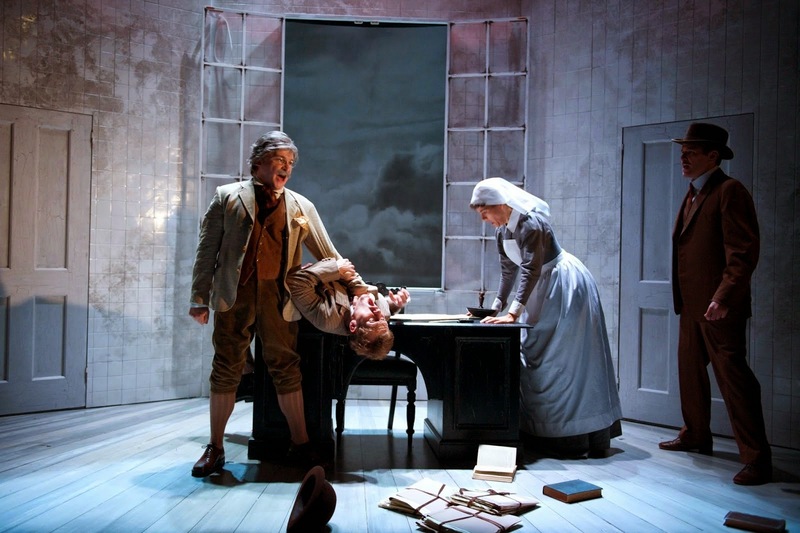 Grand Guignol is at the Southwark Playhouse until the 22nd of November. Tickets here. Huge thanks to Rebecca Felgate at Official Theatre for the ticket. Details here.